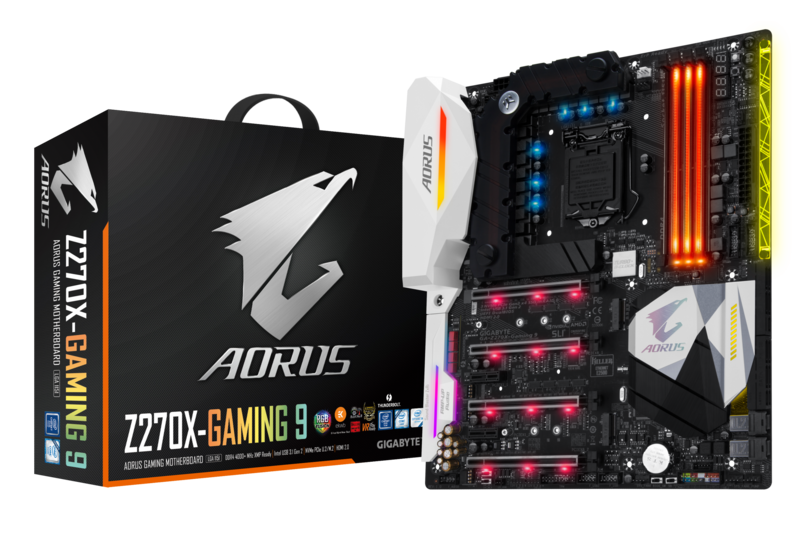 GIGABYTE TECHNOLOGY Co. Ltd., a leading manufacturer of motherboards and graphics cards, is excited to announce that its AORUS Z270X-Gaming 9 motherboard has won the prestigious Computex 2017 Best Choice Gold Award. The Computex Best Choice Gold Award is highly coveted but rarely obtained with only 7 products gaining its recognition from a total of 400 products eligible. The three criteria that products are judged on are functionality, innovation, and market potential. Besting out its rivals, the AORUS Z270-Gaming 9 was the only product from the “Computer and System” category that won the Best Choice Gold Award. The GIGABYTE AORUS Z270X-Gaming 9 motherboard is built on the latest Intel® 200 series chipset and features a hybrid water block developed in cooperation with EK Water Blocks, best-in-class multi-zone RGB LEDs which are fully customizable using GIGABYTE’s RGB Fusion software, and the latest intelligent temperature control software in Smart Fan 5. Coupled with the renowned liability of GIGABYTE’s Ultra Durable Technology the Z270X-Gaming 9 gives gaming enthusiasts everything they could want in a single motherboard—performance, durability, the ultimate waterblock, and customizability. Judge’s Statement: GIGABYTE’s Z270X-Gaming 9 which was submitted for review in quality, design, performance, and innovation of function. Through the high-level of coordination and planning on the board level between Intel and other IC manufactures, GIGABYTE’s Z270X-Gaming 9 has been recognized with high marks from each cooperating partner. With this recognition from key industry partners, it is easy to see that GIGABYTE is an international corporation with a progressive RD team and the ability to produce quality products. From the application process to when the physical product was revealed it’s obvious to see that GIGABYTE places effort in all things it does. Thus, this Golden Award from Best Choice is well deserved by GIGABYTE. Click here for more information regarding the AORUS Z270X-Gaming 9.